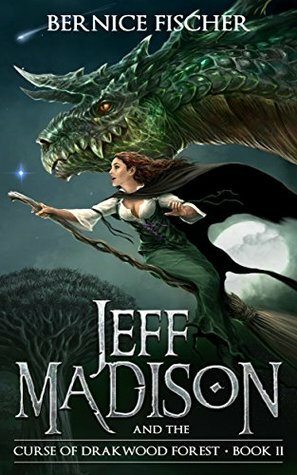 Jeff Madison--dream catcher, loyal friend and fearless teenager--must save his best friend Rhed from a devastating spell which was cast on him during their last visit to Drakmere. But from this dark kingdom, two evil witches send forth unspeakable horrors. Can Jeff overcome Wiedzma’s terrifying screatures and Zorka’s flesh-eating shadowraiths? As Wiedzma’s screatures endanger Jeff’s family and Zorka’s Zombies call for blood, the curse on Rhed becomes life threatening … time is running out. By fine-tuning the dream-catcher abilities that can save his friends who journey to Drakwood Forest in search for Rhed’s cure, Jeff unknowingly sinks ever deeper into darkness. In this new action-packed fantasy adventure, we meet up again with the brave Sandustian warriors Rig and Madgwick, new warriors Khrow and Horrigan, the cranky and hilarious witch Angie, and the very hungry dragon Watroc. Ultimately it is Angie who must negotiate for Rhed’s life. Will she succeed or will Rhed be lost to the Prince of Drakwood Forest forever? How on Earth is it that the best books have so few review? I don’t mean that this is the best book in the world but it is amazing! It is special and sad to see that it only has three reviews. 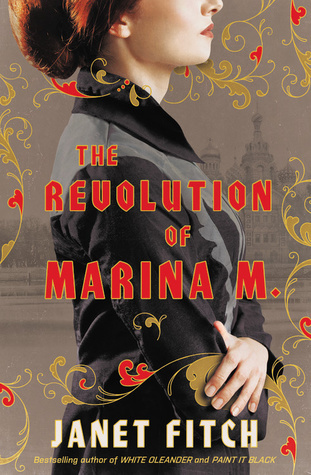 I would highly recommend this series (this is the second book), especially this book. The first book was not as captivating, comparatively, because we are getting into this new world. Fischer has clearly found her writing style that builds and strengthens this fantasy world. From the moment this book starts, we are off to a fast start. Full of action and adventure right in the first chapter, and boy is it good! Contrary to the first book, this isn’t such a light hearted read. With Rhed becoming a tree no matter what Jeff chooses, plus all the perilous encounters the unlikely group encounters it seems like a hopeless journey. That is the best part of this book because we start off with no hope but Jeff manages to brings us up. With the gang’s quirky humor, the mood was uplifted and with it the hope that the would come out alive. The one scene that is really memorable to is in the final chapter. It is fitting that the final chapter is the most memorable and the first chapter started the whole adventure off, itself being remarkable. It is a really funny scene that will put a smile on your face. You realize at this point that this book is for kids because of the childish way it ends, but it works in this novel. It’s has a satisfying element that is sometimes lacking from adult or young adult books. Warning: Spoiler below in the quote. "'Rhed!' Jeff laughed as he grabbed his friend and phoebe collided with both of the and they hooted and yelled while they jumped around in a circle. They had to hold Rhed up has his balance was not very good yet. The warriors had wide eyes as if they three of them had just lost all their senses. 'You're alive,' Rhed called to Jeff. 'You're not a tree,' Jeff hollered at Rhed. "I still have all my blood,' Phoebe yelled to both of them. 'I want to hear all about it but,'' his voice dropped low and he asked, 'Who's the cute girl with Rig?'" Overall, it was a fantastic, four star read. It wasn’t perfect but it is a spectacular fantasy read. If you want to try out the fantasy, try out this series. It has a childish simplicity that is great for all ages! Also, don't worry if you don't remember much from the first book because Fischer does a wonderful job recapping what previous happened as she moves the plot along. Again, I highly recommend this book to anyone who wants to try out something new!